My sister and her husband flew into town for Otto's birthday back in December. They're also his godparents and considering his birthday's proximity to Christmas, those two birds met their one stone when they came out for a visit. My sister is gluten free though, so I had to get creative for my meal planning. I remembered my stepdad making me a recipe similar to this a year earlier, when my parents were staying with us just after Otto's birth. I've put my own spin on it (because I can't follow a recipe to save my life) and ended up creating a great tasting and much healthier take on the old classic meatloaf! It's got far less fat, higher protein and hey, it's gluten free to boot. One thing I'm not a fan of are "skinny" recipes, or recipes that are indeed healthier but lose all their flavor in the process. I'd personally rather eat the full fat, full calorie version then a "healthy" or "skinny" recipe that tastes like the cardboard version of a classic. This is NOT one of those recipes! The quinoa adds a chewy texture to the poultry, the onion and garlic deepen the flavor and the sauce is the kicker. In a small sauce pan, bring the cup of water plus the onion flakes and a sprinkle of salt to boil. Cook the quinoa covered on low until the water is gone, then leave it sitting on the stove covered for about a half hour. I've learned that if you cook quinoa according to the directions, it comes out soggy and this method leaves it perfectly cooked. The onion flakes make it taste great, too - I prepare all my quinoa this way! It tastes far better than when it's cooked in broth. Line a baking sheet with parchment paper . Form the meat mixture into a loaf on the lined pan. 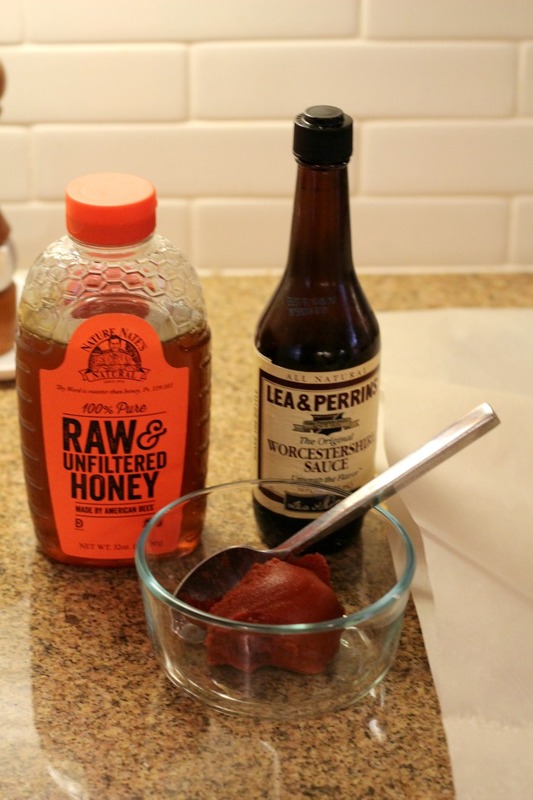 In a small bowl, mix together the remaining tomato paste, honey, Worcestershire Sauce and about 2 tablespoons of water. 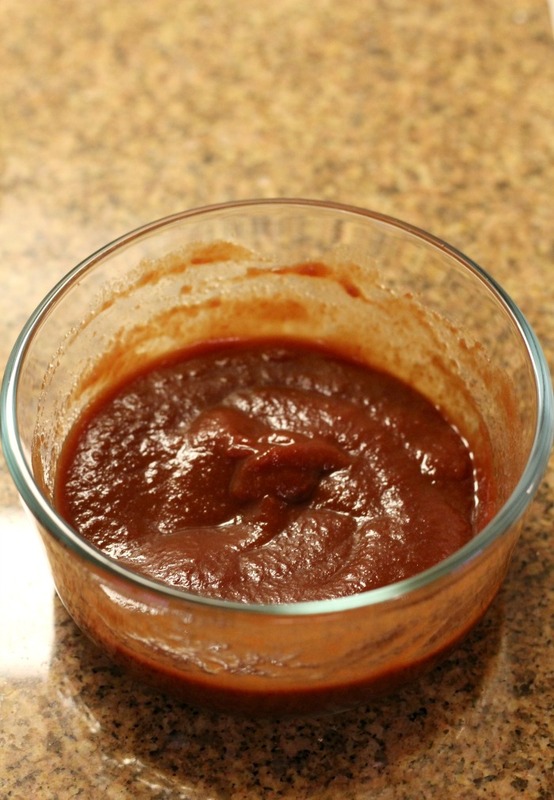 Cover the meatloaf with the sauce, and reserve the remaining sauce to serve after cooking. Just make sure you don't "double dip" the spoon you use to apply the sauce to the raw meatloaf! You don't want to contaminate your sauce with raw poultry. Bake at 350 for about an hour. 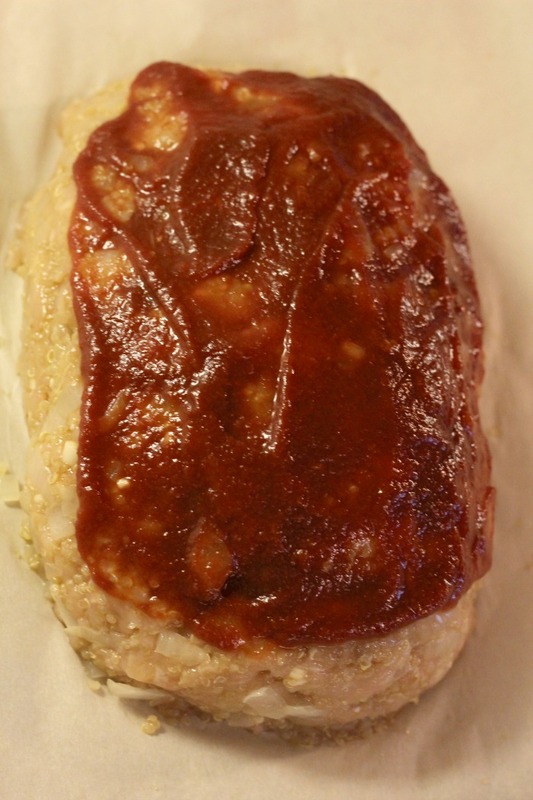 After baking, let the meatloaf rest for about 10 minutes to cool and to seal in the juices. Slice and serve with the remaining sauce. 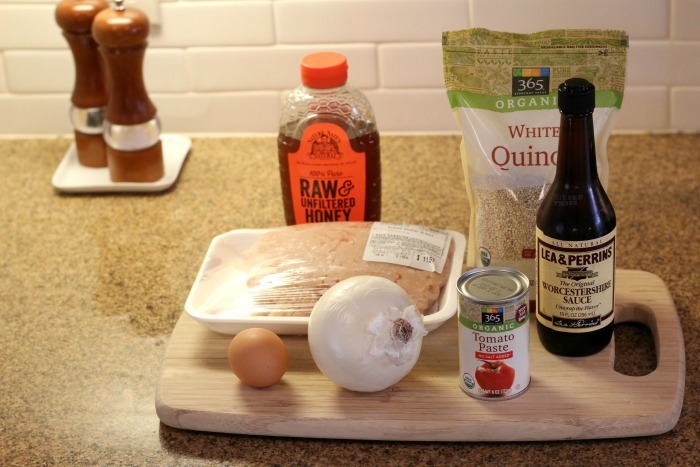 Enjoy this healthier and gluten free take on an old classic - turkey quinoa meatloaf. This looks like a really fabulous recipe!! My son would absolutely adore this too as he has a gluten sensitivity! 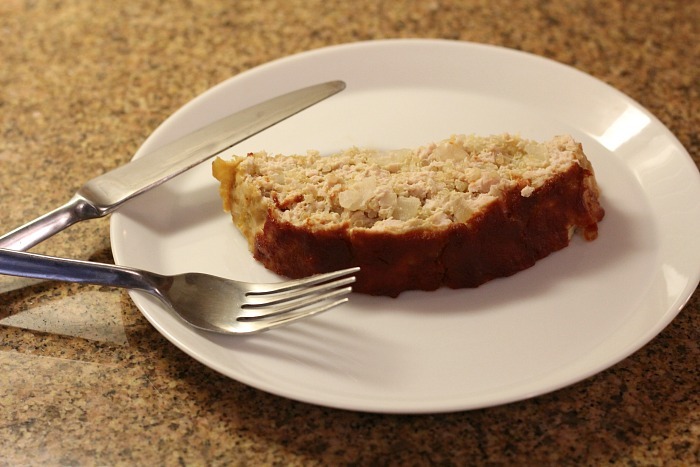 What a great meatloaf recipe using turkey and quinoa. Your sauce is somewhat different so will have to give it a try. Never thought about adding quinoa to meatloaf. I need to try your recipe out. I love meatloaf! Never thought to add quinoa but it sounds really good! This looks so good and I love that you used quinoa instead of breadcrumbs!! I'll have to give this a try. YUM! It looks so good. I'll have to try this soon. Have any tips for turkey burgers because.... I totally bought some and now I'm like, "why?? why did I do this?" I love meatloaf and this version looks so good! You're speaking to me with the turkey and quinoa. Yum! This looks so yummy. I'll have to try it out!